Not much to talk about here. 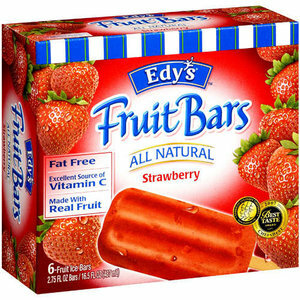 I decided to try the Strawberry fruit bars and I like them almost as much as I like the Grape ones. Plain, simple, and tasty. My only super tiny superficial complaint would be that these seems to a be a smidge harder on the outside than the grape, but I'm thinking that it's just from the shipping process or while it was waiting to be put on the shelf. It's by no means a show stopper. On Second Scoop: I mentioned that these seemed a little tougher than the other flavors, so I just picked up another box and it's the same way. Nothing to lose sleep over, it must just be a strawberry thing since these actually have a bit of fiber in them.